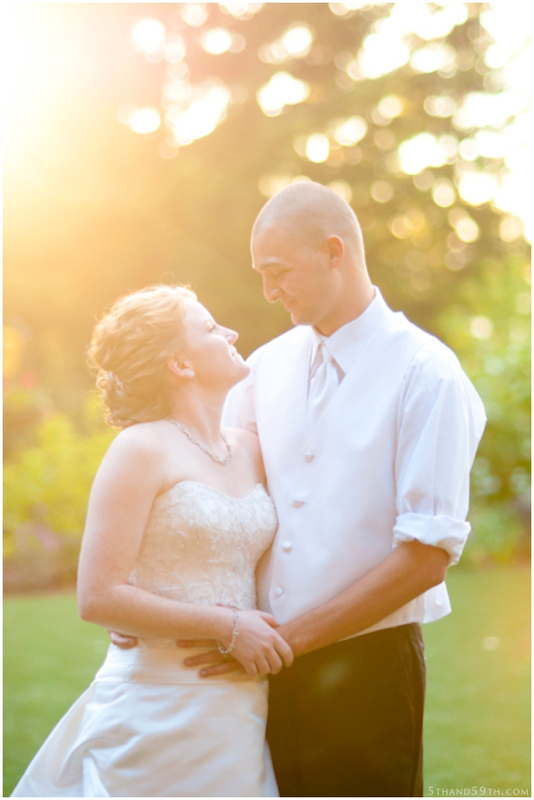 A simple and sweet Oregon wedding by Brittany of 5th and 59th Photography. 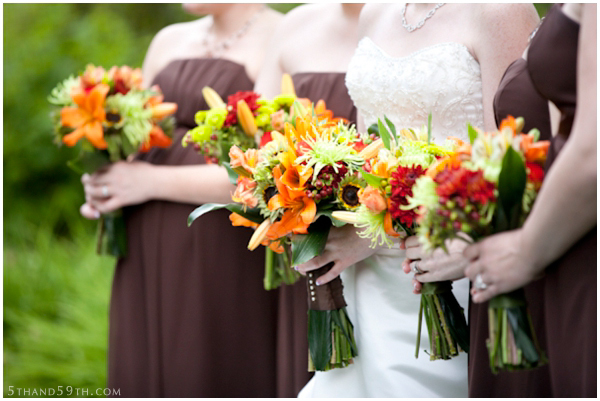 This wedding had a beautiful fall-inspired color pallet with shades of browns, oranges, and greens. 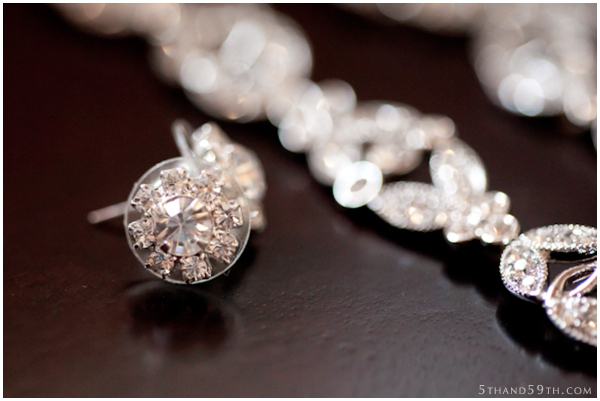 Simple, sweet, and absolutely lovely. 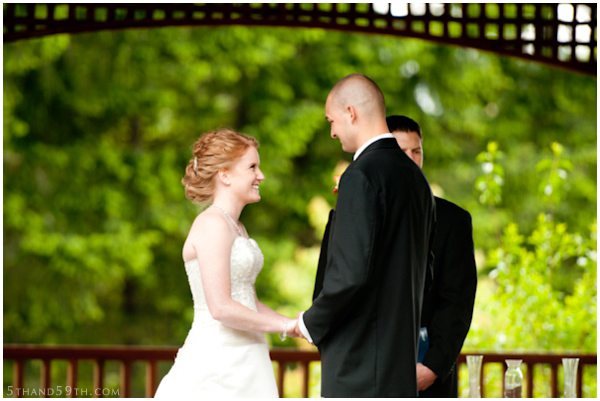 Bride: Seeing my husband for the first time on our wedding day was amazing. We decided from the very beginning that we wanted to take our pictures before the actual ceremony so our photographer staged a special moment just for the two of us. 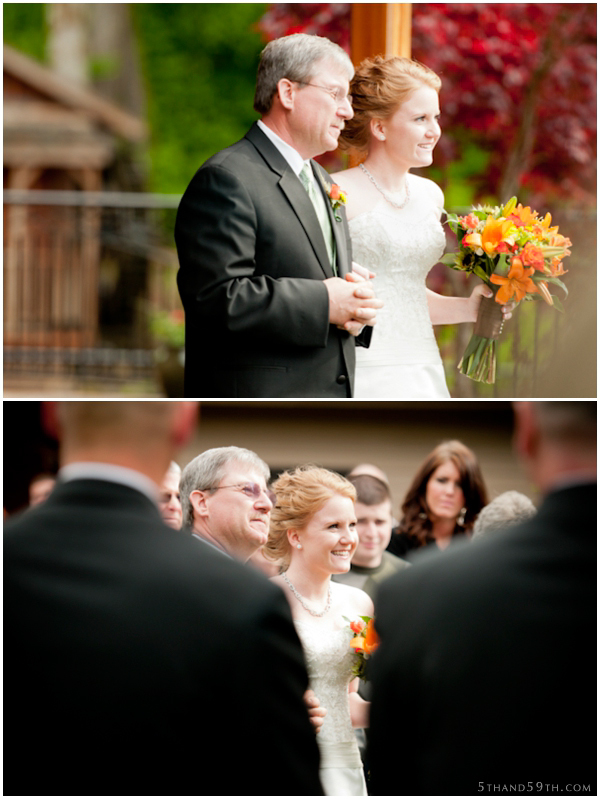 Perfect doesn’t even describe how wonderful that first moment was. I remember walking down this long walk-way from the room where I’d been getting ready and all I could think of as I moved toward him was how blessed I really was to have such an amazing man, partner, best-friend, and future husband waiting for me just a few feet away. He stood with his back to me and once I was close enough I gave him a slight tap on the shoulder. That’s when he turned and I saw his face for the first time. If I had to try and put it into words I’d say seeing his face for the first time, felt like coming home. Everything that I’d experienced in my whole life had let me to that moment and it’s something I’ll never forget. 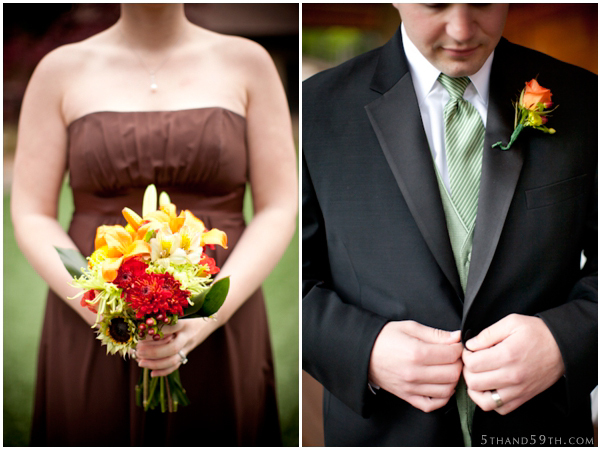 Groom: The first time that I saw my wife to be on our wedding day was one of the most special times in my life. 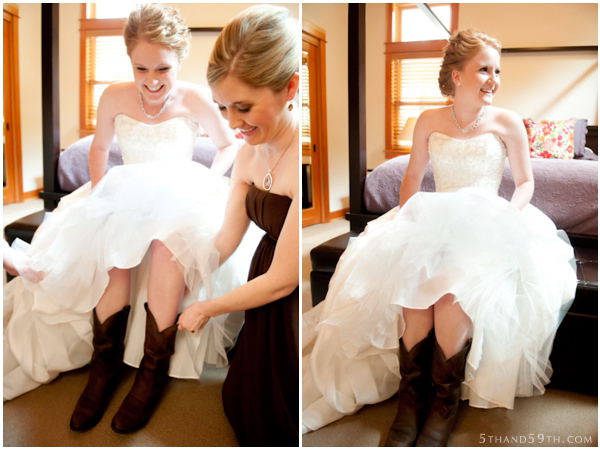 We planned the entire wedding together but the few areas that I was not in the loop on was her dress, hair, and makeup. It was very important to her that I not know anything about this until the moment that I first saw her. This created a lot of anticipation as I was standing there with my back to the direction that she was coming from. 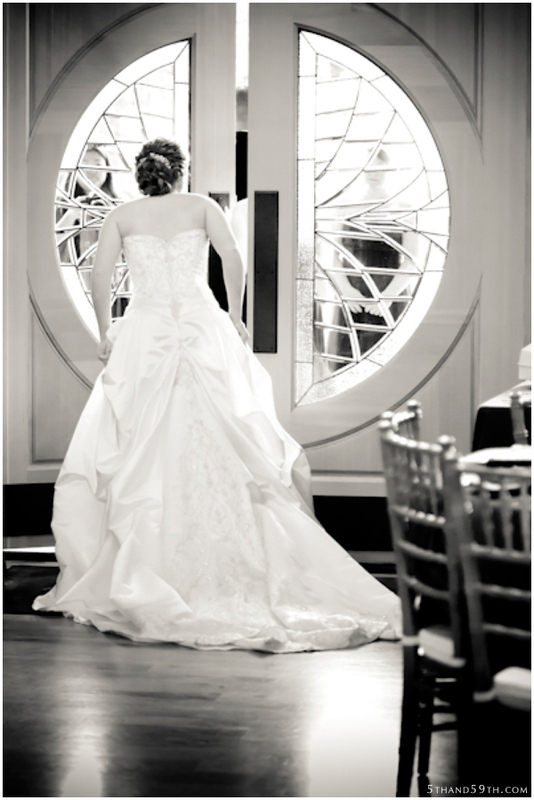 It was one of the most difficult things I have ever done not to turn around before I was supposed to so that I could see how beautiful she looked. When she gently tapped me on the shoulder letting me know it was time for me to turn around I could feel the excitement rushing through my body. I remember how wonderful it was to be able to spend a few minutes alone with her just talking and telling each other how happy we were. I remember thinking that all of the waiting and anticipation over the last several months was more than worth it and made the experience very special to me. 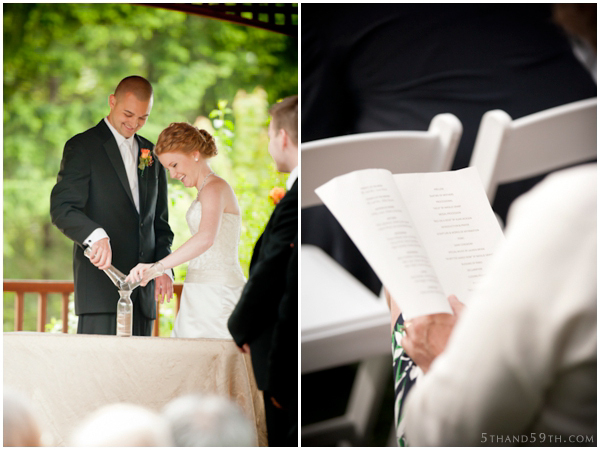 We have many favorites of the day, but by far the most memorable and meaningful was during our wedding vows. My husband and I had just finished our vows when the pastor announced that my husband had something special he would like to share with me and asked that our 16 month old son join us at the front of the ceremony. I was unaware of it, but my husband had prepared a special set of vows pledging his commitment to being a strong role model and father to our son. It was so incredibly thoughtful and every word he spoke had such meaning behind it. His words not only brought me to tears (which I’d done fairly well at fighting back until then), but all our friends and family were also teary eyed. It was such a special moment for the both of us. 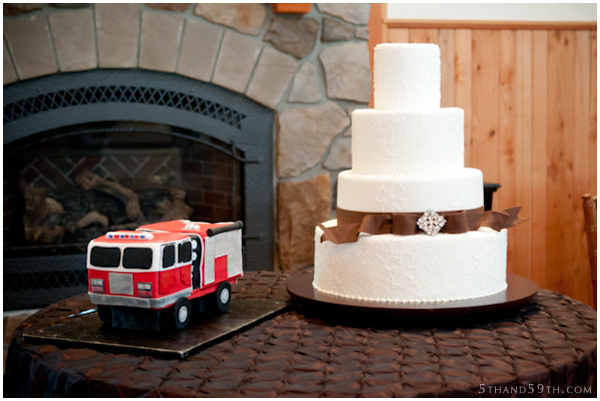 A couple of things that were special to just the both of us were the groom’s cake and the wedding favors. 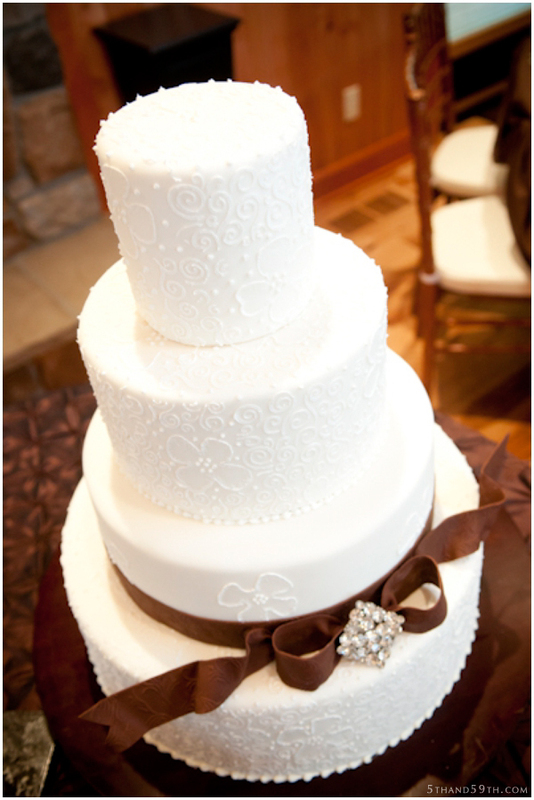 I had secretly asked our cake lady to design a groom’s cake for my husband and I must say the cake looked amazing. My husband is a fire fighter/paramedic so she was able to construct a replica of the fire engine my husband operates at work. Not only did it look great, but it tasted amazing. They did such a fantastic job! 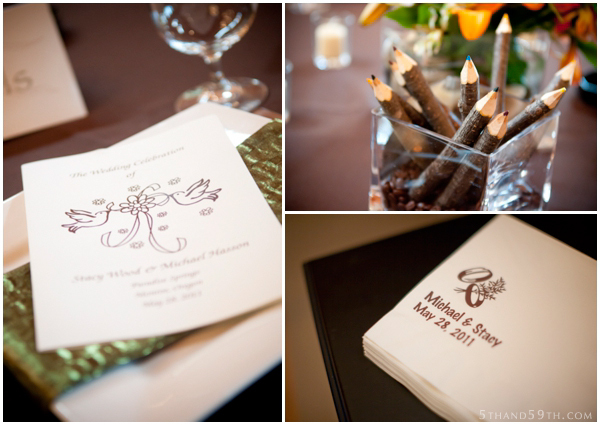 Our wedding favors were another aspect of the wedding that was special to us. We’d been trying to come up with something that our guests would appreciate, but also something that represented the both of us and I think the favors did just that. 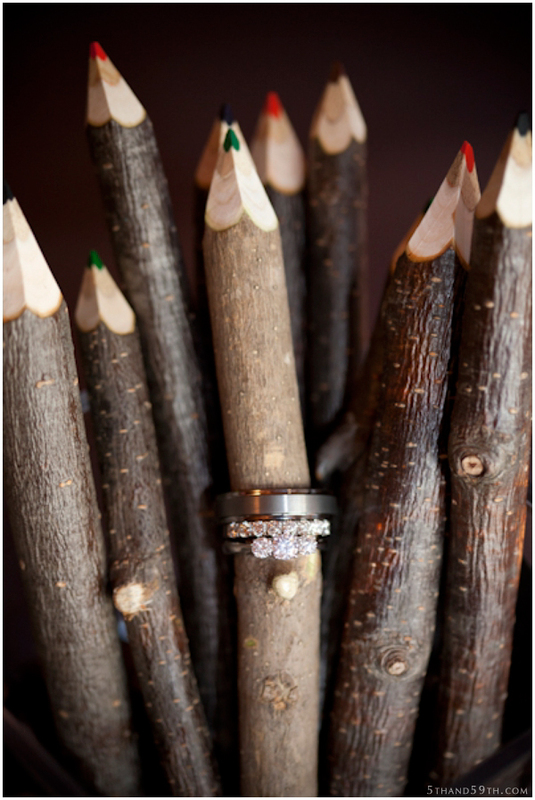 We both really enjoy the outdoors, so when we found these amazing colored pencils designed from twigs and tree branches it was an easy decision. 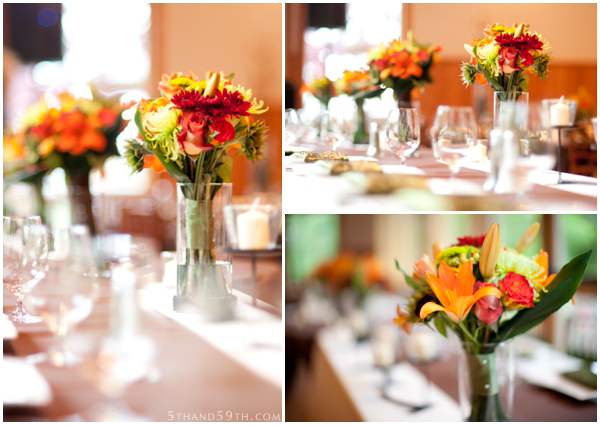 The best part was the guests loved them just as much as we did. 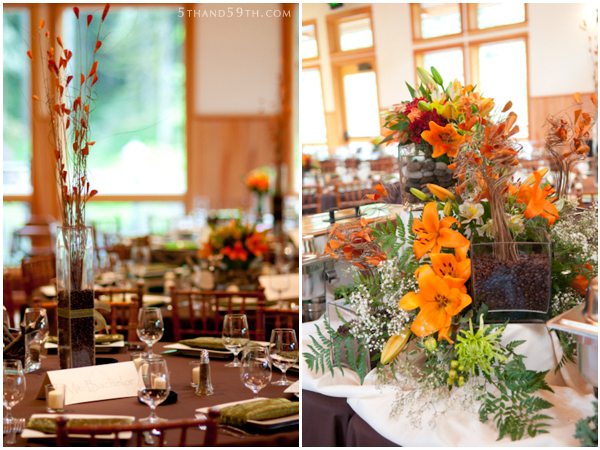 Of all the vendors our top priorities were the venue and photography. 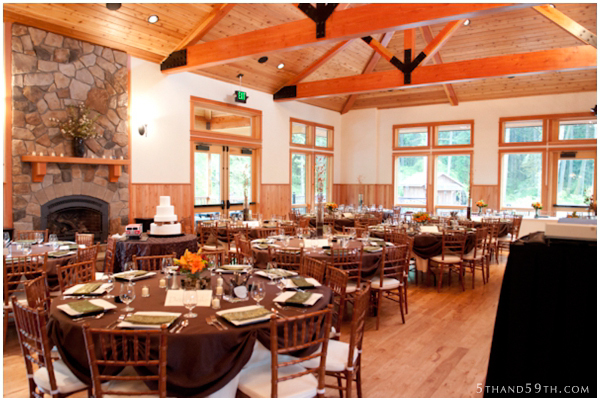 My husband was really set on having the perfect location for our ceremony and reception. After our first visit to Paradise Springs we were both sold. 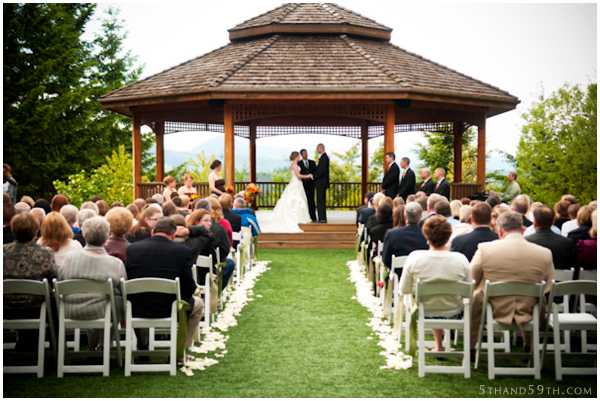 Aside from being absolutely gorgeous, the venue was the perfect fit for Oregon weather with an indoors reception area and covered ceremony gazebo. 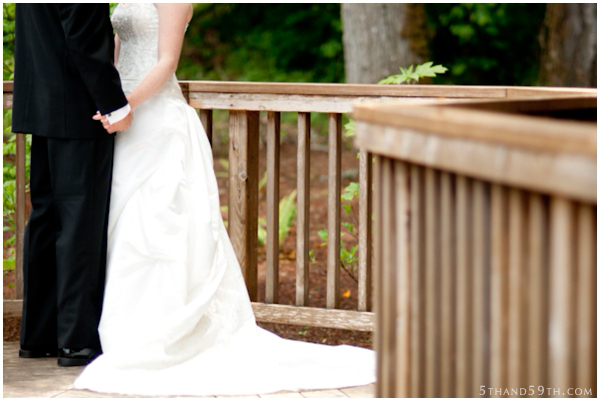 Photography was also important since we both wanted to be able to re-live our special day for many years to come. Choosing those vendors was actually very simple. After our first visit to Paradise Springs there was really no other venue that even compared or stood up to the number of amenities they had to offer. Looking into photographers was an easy choice too, we’d already had a number of family photo shoots with Brittany Lawlor of 5th and 59th are were not only impressed with her work, but trusted her eye for capturing special moments. 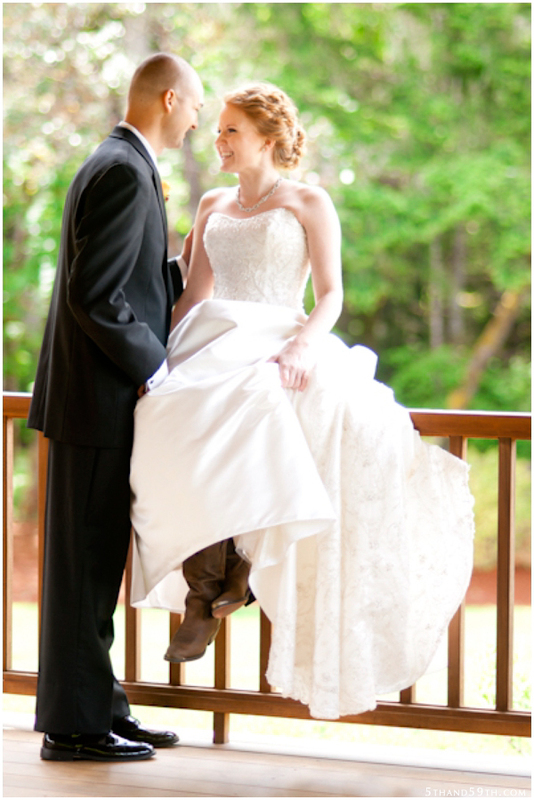 Our advice to other couples planning their wedding right now is to really take your time and “soak-up” the moments of your wedding day. It really does fly by so try and take as much time as you can to enjoy the day together. There will be a lot of people wanting you to be somewhere doing something and it’s important to remember that the day is meant for the two of you.